The service of hiring someone that has all the answers and manages the whole process is something that has only been around for about 10 years. 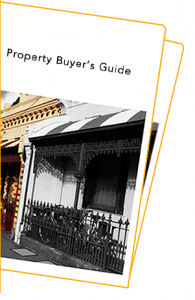 They’re called Buyers Agent or Buyers Advocate and the wise property buyers in Melbourne are using advocates to there advantage. 6 Benefits Of Using A Buyers Agent. When it comes to Melbourne Real Estate, Time = Money. In 2017 the real estate market grew in value by 10%, in some areas it increased by over 20%. Melbourne’s median house price tipped $850K. So if the average buyer can spend over 6 months trying to purchase a property the increase in cost, over 6 months, is approximately $45K due to property capital growth. Although by using a buyers agent like Mark Ribarsky, the owner of Wise Real Estate Advice, claims an average purchase cycle can only take approximately 6 weeks, in most cases. Real estate agents are employed to look after the interest of the vendor (seller). They are experienced in handling many sales every month. Hence negotiating with buyers that only purchase one property every 10 or 20 years is like a young, fit pro boxer versing an amateur. Most importantly, they’re employed to look after the interest of the buyer, not the vendor. Off market listings is real estate that’s for sale with no public marketing campaign. Real estate agents are a great source of this type of listing as they appraise many homes, weekly. Buyers agents leverage their relationships with selling agents to favor their clients by reducing bidding competition. 4. They Bid At Auctions, Not You. If you have ever had to bid at auction you understand the true meaning of butterflies-in-your-stomach. Buyer’s agents approach this type of negotiating with an auction plan. A pre-set budget, bidding style, strategy, no emotional attachment and the ability to negotiate selling terms after an auction has closed. If an auction ‘passes in’ this means a reserve price is not achieved on the day, hence property is not sold and reverts to a private sale property. A buyer’s agent knows how to win the front seat of bidding immediately after auction closes to negotiate and close a sale. 5. How Much to Hire A Buyer Advocate? Fees/Prices can vary across agents, this will depend on the level of service they provide. Hence, it’s worth shopping around to understand the value each advocate offers. It’s wise in any type of transaction to hire people that work for a fixed fee. This makes the relationship clear and removes incentives that lie around rolling or percentage fee structures. 6. What experience should a buyer’s agent have? Mark Ribarsky always asks sales people if they have ever purchased the product they’re selling, if not, why not? Using this example, it’s fair to ask does the Buyer’s advocate own property him/herself. Owning property gives every owner experience in balancing a mortgage and getting an insight into capital growth. To be able to negotiate with selling agents it’s important for your advocate to have worked in the real estate industry selling homes. This helps an advocate understand what the seller is going though dealing with their agent and how to leverage the whole process to a buyers advantage. The exprience will also help you leverage there network of connections, from the best local building inspector to a high quality conveyancer. It’s important to check the prospective agents license. Consumer Affairs Victoria provide an online public register, which provides access to information about licensed estate agents and agents’ representatives free of change. Make sure you’re comfortable with the buyers agent, have a face to face meeting before signing up. You need to be able to talk openly and honestly to your advocate, in some ways they are like your real estate doctor. Make sure they don’t earn double commissions or kick backs with other agents, even though this is against the law in Victoria, this still happens. Do they own real estate or own investment properties? What are the fee structures? Percentage on sale or fixed fees? Does the agent specialise in an areas? Ask the buyer’s agent how many off market properties they have purchased in the last month. Does the buyer’s agent or agency have any recent testimonials on their service? Are they a member of the REIV (Real Estate Institute of Victoria)? Check the agent’s licence on the Victorian Consumer Affairs public register.